Keep your budget in check by making your own wine! The North Peace's only Ferment on Premise location. We specialize in making craft wine and beer to your specifications, or we can supply you with all of the necessary equipment and ingredients to make it at home. 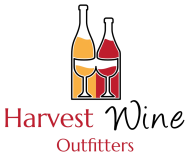 Harvest Wine Outfitters is the only shop in the Peace Area that will help you create wine from your own fruit! Long gone is the philosophy that 'winery on premise' shops are low quality. We offer you products from award winning suppliers. When it's ready, come in and bottle your wine. Pick your labels and shrink wrap to custom design your bottle. Make sure you have a quality wine on hand for any occasion. Red, white, blush or fruit wine - There is something for everyone's personal taste.